The MyPlate poster depicts the five food groups as a meal place setting. 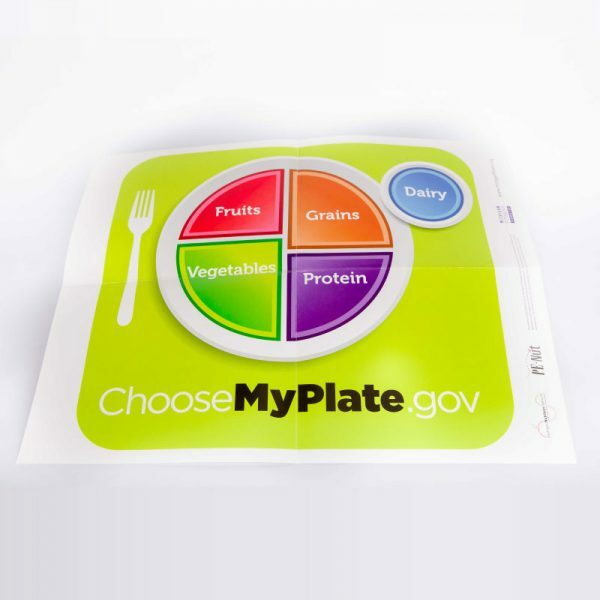 The key message stresses the importance of eating a variety of foods from each food group to ensure healthy intake of nutrients. 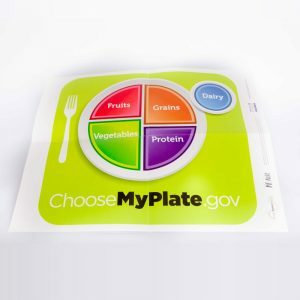 It conveys a focus on fruits and vegetables occupying half the plate.